Claude Bosi adds a delicious smokiness to his sauce grand veneur (or huntsman's sauce) by cold smoking dark chocolate in a Bradley smoker. 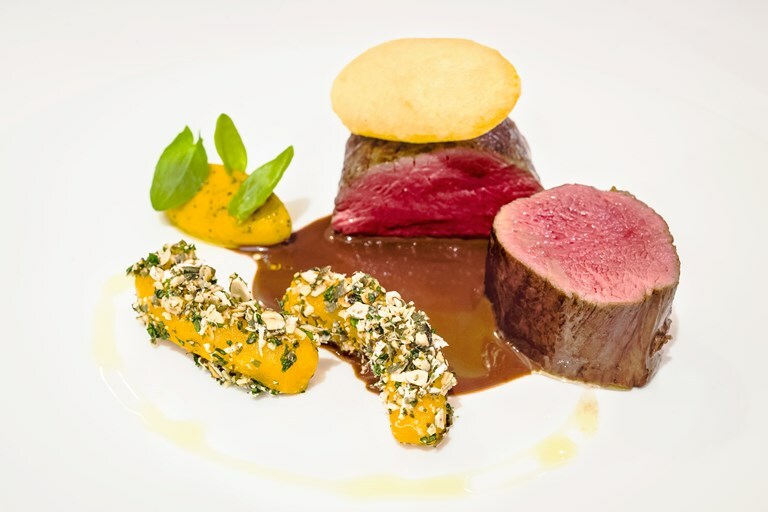 This method achieves a superb consistency and adds an extra depth of flavour to this rich venison loin recipe, with the rich, bitter chocolate offsetting the natural sweetness of the meat. Venison bones for the sauce should be available from your butcher – ask them for help removing the venison sinew too, if required. Add another 400ml of stock, reduce again, then repeat again with the remaining 400ml of stock. Transfer to a pressure cooker, top up with enough extra chicken stock to cover and cook for 45 minutes. A legend amongst his peers and known for combining highly skilled classical techniques with the world’s best produce, Claude Bosi is one of the best chefs in the UK today.